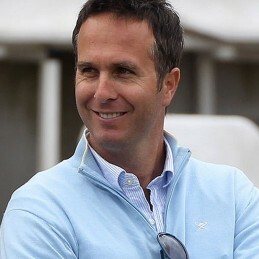 Michael Vaughan will be forever known as the man that led England to successfully recapture the Ashes in 2005. When Vaughan took over the English Test captaincy from Nasser Hussain in 2003, he was already a technically proficient and disciplined batsman who was known for his magnificent stroke play and calmness under pressure. When Vaughan was in form, there were few better batsmen in the world. Vaughan first showed elite promise in 2002 when he scored 900 runs over a period of seven Tests against Sri Lanka and India. This run formed the foundation for a career that would help rise England to number one in the World Test Rankings. Vaughan later became the first batsman in 32 years to score more than 600 runs in an Australian tour. Shane Warne later paid tribute saying that he was one of the best he had ever bowled to. Vaughan was the obvious candidate to replace Nasser Hussain when he relinquished the captaincy of the one-day team. Following his successful duties as one-day captain, when the players returned to Test cricket duties, Hussain no longer felt the side was his, passing on the captaincy after the opening Test against South Africa. Under Vaughan’s captaincy the Test team would be the most successful English team in decades. They became the first English team to win a series in the Caribbean for over three decades, won all seven Tests in the summer of 2004, won in South Africa and then regained the Ashes for the first time since 1986/87. Shortly after, Vaughan was struck with successive knee injuries that restricted him to just 18 further Tests over the next four years. Although Vaughan’s playing career finished prematurely due to injuries, his place in the game’s history is assured. With an unquenchable thirst for cricket, Vaughan is never far from the game. He helps out County side Yorkshire, mentors England’s under-19 team and has developed a successful media career, hosting BBC’s Test Match Special.